-3 space of your shop. 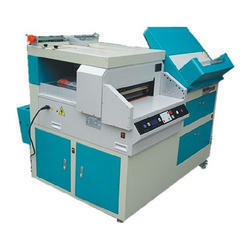 semi automatic case making binding machine is designed for photo industry. with compact design to monimise the floor space. By keeping track with the market development, we are offering optimum quality Equipment. This range machines have smooth performance & high durability which increase their demand in the market. The Digitec UV AT series machine by Pinnacle is the leading edge of technology. It is a fully automatic machine offering coating and curing with utmost precision, accuracy and consistency. 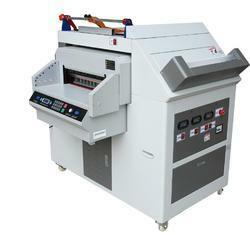 Power Consumption: 0.5 HP to 10 HP & Width 8" to 20 "
We are engaged in offering Photo Album Making Machine. Professional Album Designing software that offers you complete liberty to use your maximum creativity for making Awesome Album Designs. Software packed with Advance compotion tools, 2000+ Ready templates, 2000+ layouts, decor, cliparts, quotes, masking tools. Approve photos from client direct through software. Om Vir Print O Pack Pvt.ltd. T-6 Album making machine is a complete album making unit which includes all arms of Photo book making. It includes creasing, hot back binding, hot pressing, pneumatic auto sensing cold press extra work station, powerful hot binding and album storage. It makes photo book with the help of special heat activate sheets and effectively compiles album giving it a professional look.